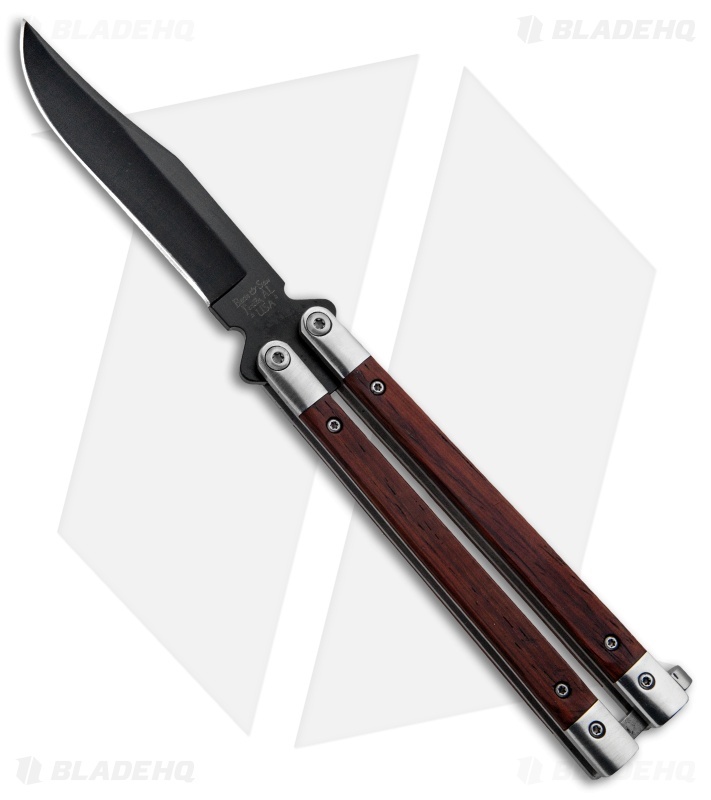 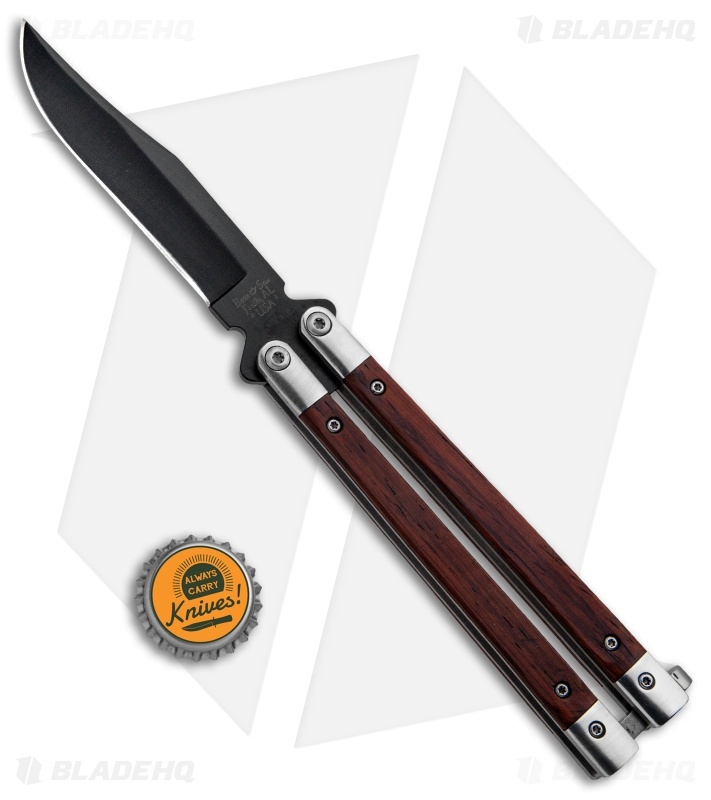 This Bear & Son butterfly knife features a cocobolo handle and a black finished blade. The classic Bear & Son balisong has been updated with Zen Pin construction for improved strength and durability. The sleek design offers an impressive look while adding additional tactile feedback while flipping. It has a stainless steel clip point blade with a plain edge. 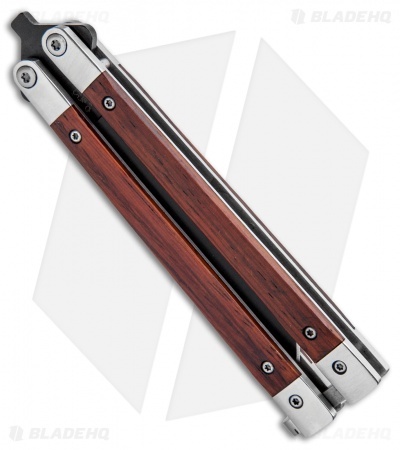 In the way of mid-range butterfly knives, this model is a great buy and it's made in the USA. Very nice knife and handle, works well enough as a tool and flips alright and smooth, very dressy as well. The screws for me were lose a bit and needed to be maintained after just a few hours so I would just be cautious out of the box.